SCARBEE MM-BASS AMPED is based on the highly-regarded Scarbee Black Basscreated by accomplished bassist and producer Thomas Hansen Skarbye andinspired by the sound of Bernard Edwards (Chic). Bringing you the warm andcreamy fingered bass sound of the 70s known from countless disco and funkrecordings, SCARBEE MM-BASS AMPED is an outstanding addition to our series of "Powered-by KONTAKT" instruments - ready for use with the free KONTAKT 4 PLAYER or KONTAKT 4. The amped version includes the same content as SCARBEE MM-BASS, but provides four different amp sounds. In order to give you ready-to-use sounds for your productions, SCARBEE MM-BASS AMPED offers the choice between four different amp setups. The SCARBEE MM-BASS AMPED was recorded with flatwound strings to get that warm, creamy sound of 1970s bass lines. The full strings of the bass were sampled in order to reproduce the timbre changes that occur when you move between low and high frets - giving you rich, natural sound with all the overtones. 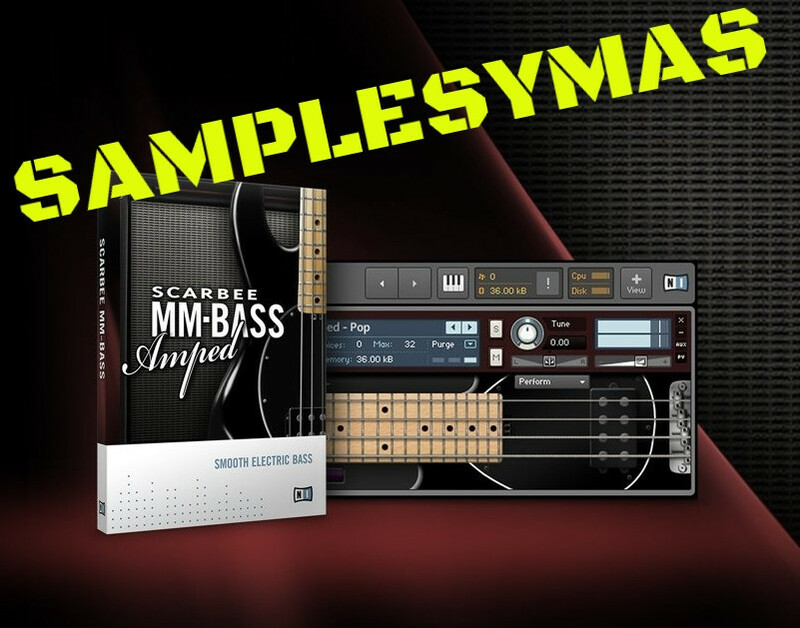 SCARBEE MM-BASS AMPED is much more than just a collection of samples. It features an extensive set of playing techniques including sustains, mutes, harmonics, hammer-ons, pull-offs, slides and more. And thanks to some sophisticated scripting, SCARBEE MM-BASS AMPED comes vividly to life with features such as a dynamic fretboard display, chord recognition, random alternation between varying release samples, random insertion of pickup hits and realistic vibrato - all to put the swagger into your groove. gracias y pues perdonenen la ignorancia pero que complicado ahora dejar un mensaje y darle clik al video no se si sera mi pc pero no logro ni siquiera reproducir el video de you tube si alguien sabe por favor ayudeneme gracias.